A few weeks ago I experienced one of my new favorite foods. It was so simple, so delicious, and so easy to make that I'm shocked that this isn't a nation-wide treat on every breakfast table. 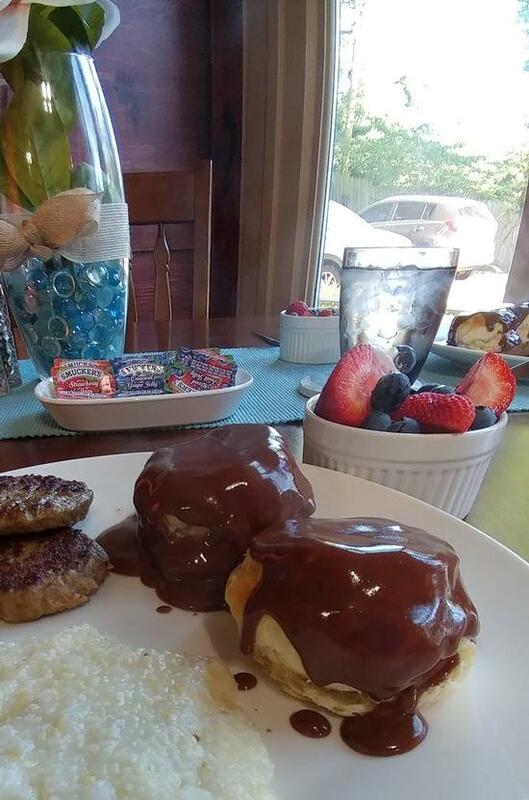 Apparently though, the people in Arkansas like to keep the secret of Chocolate Gravy and Biscuits to themselves. No more though! The awesome folks at Edwardian Inn in Helena, Arkansas agreed to give me the recipe to share with you. Well, only half of it, because "LOL ... Gotta keep some secrets" when I asked about the biscuit recipe. 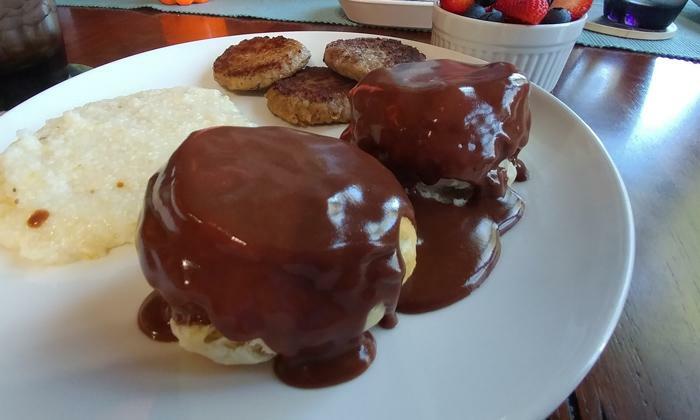 Either way though, while their biscuits alone are worth a visit the, the Chocolate Gravy recipe itself is a treasure that I'm thrilled to be able to share! As for the biscuit recipe itself, I'm told that while the recipe used at the Edwardian Inn is an exclusive family secret passed down through generations of cooks that any southern buttermilk biscuit recipe will do. Or if you don't want to create it from scratch, you can find pre-made ones in the refrigerator aisle.